One of Kenny Wilson’s biggest pet peeves: When people say the homeless don’t want help. As CEO of Haven for Hope — an organization in San Antonio that serves about 1,700 homeless individuals each day through its 22-acre campus — he said people tell him every day how the group’s services have saved their lives. He asserts that all of the residents have mental health issues, including some set on simply by the stress of becoming homeless, and the vast majority have experienced major trauma in their lives. Haven for Hope says it’s been able to reduce the homeless population by 80 percent in downtown San Antonio since opening in 2010, and it has welcomed some 250 visits from delegations seeking to replicate its model elsewhere in the country. Comprised of 17 buildings in a layout reminiscent of a college campus, Haven for Hope has housing units, a playground and basketball courts, a kennel for residents’ pets and representatives from 148 organizations that work with its residents. 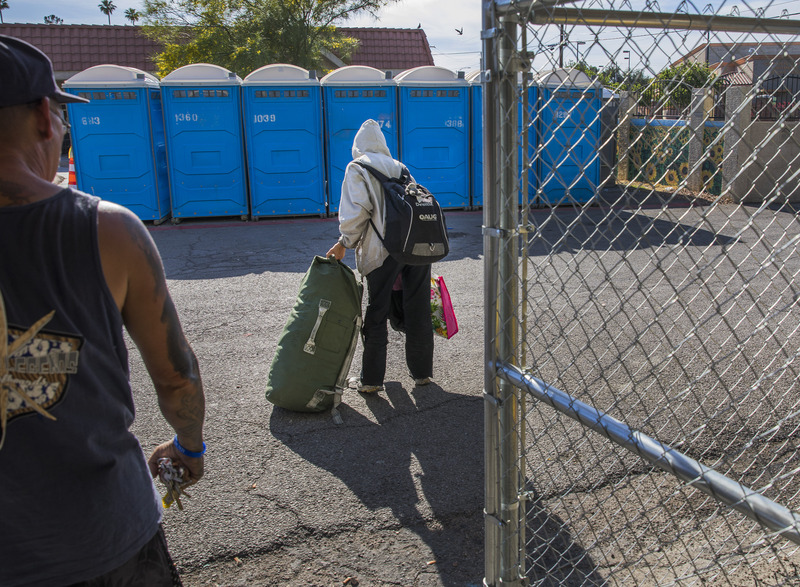 Homelessness has been a persistent problem in Nevada. A point-in-time count from a single night in January 2017 — the latest data available — showed that there were 7,833 homeless individuals in the state, including 4,578 “unsheltered” people who weren’t in any type of emergency shelter or transitional housing. Nevada ranks second highest in the country, behind California, for the percentage of its homeless population that is unsheltered. In Southern Nevada, the point-in-time count in 2017 revealed there were 6,490 homeless individuals that night, a slight decrease from the 7,443 counted in a similar census in 2014. In San Antonio, Haven for Hope’s courtyard provides a semi-sheltered place where the homeless can sleep. It’s walled and gated, with an overhang to provide shade and guards patrolling the area. People aren’t allowed to bring in guns, drugs or alcohol, but they can come in if they’re inebriated. It’s safer that way, Wilson said. The homeless can’t come in to the Las Vegas courtyard just yet to sleep, although that could be happening as early as this summer. There’s demolition work in the area, and the city doesn’t want people exposed to possible asbestos, according to Kathi Thomas-Gibson, the city’s community resources manager and the point person for the courtyard. But from 6 a.m. to 6 p.m., the courtyard offers a place to hang out and take advantage of “pop-up” services, including cell phone charging stations and mobile showers that are available on Tuesdays and Thursdays. On Friday afternoon, several dozen homeless people were milling around the courtyard, a fenced-in space bordered by a closed apartment building. Some men stopped by to use one of a row of bright-blue porta-potties, while others picked up a bottle of water from a tall stack of cases and others sat at tables playing chess. In the shade of the old apartment building, homeless residents can store their tents, clothes and other belongings in Army surplus duffle bags in a monitored storage area. In an effort to avoid duplicating other groups’ work, the courtyard — which opened in March — doesn’t serve food. That’s the purview of places in the corridor such as Catholic Charities’ St. Vincent Lied Dining Room. “We’re stepping into the gap,” Thomas-Gibson said. The city pointed to some bright spots in its homeless services, including the creation of two additional MORE teams — multidisciplinary outreach teams that connect the homeless to services. The city already has one six-person team, but will be tripling its force to reach further than the downtown core. But there have also been some setbacks, mainly in the mental health arena — the one that Wilson says is the most foundational. The first building at the San Antonio complex was a mental health treatment center operated by the county and located adjacent to the campus. “That’s a vision I think is terrific. It was an understanding, it’s a statement … that mental health is so key that you have to put that in place in order to achieve everything else,” he said. Thomas-Gibson says the homeless services community is concerned by the recent woes of WestCare, a nonprofit that is funded by state and local governments and has provided crisis mental health services. Unconvinced that WestCare is serving enough people or providing sufficient care to patients who come to the community triage center it has operated since 2002, the Clark County Commission expressed doubts about continuing to fund the facility. What’s more, a “wet shelter,” where the city’s homeless could go if they were intoxicated and need to sober up, closed late last year, according to Thomas-Gibson. 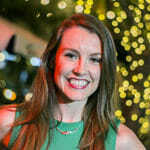 She argues that all the pieces are in the city to help the homeless move from the streets toward stability and independence, but Las Vegas needs more of everything. The federal government provides Community Development Block Grant funding that supports capital investment and buildings, such as the courtyard, but it won’t support ongoing operational expenses. 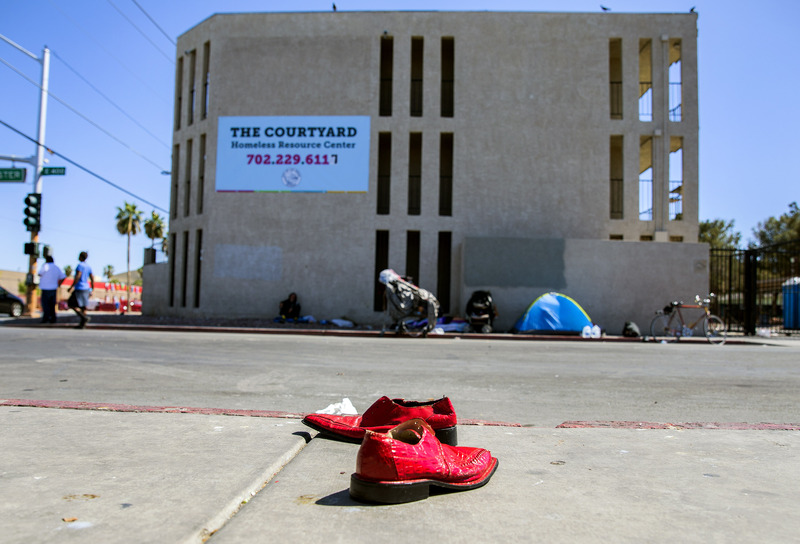 Mayor Carolyn Goodman, who said homelessness is a stubborn problem that has persisted for at least the 19 years that she or her husband has led the city, said she hoped private donors would step up and help fill the gaps to support operational costs long-term. Haven for Hope was able to build its $101 million campus with about $61 million from former Valero Energy Company CEO and philanthropist Bill Greehey and his fundraising work, with the remainder coming from the state, county and city. Wilson pointed out that San Antonio, like Las Vegas, depends heavily on convention business and keeping up its Riverwalk tourism district. He said visitors who have toured the city recently are surprised to see that so few homeless people are there. Helping the homeless “needs to be looked at as an economic development booster,” he said.